a poster, one mat (Upper Primary) or two mats (Lower Primary) and a list of the high frequency words. You can now download both resources together! 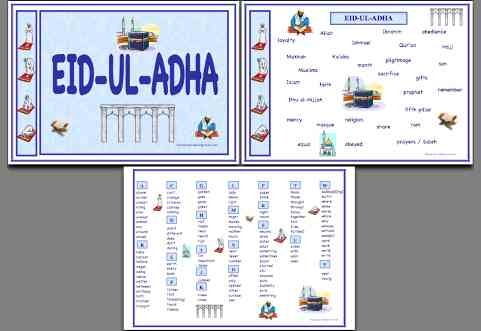 This Worksheet pack on Islam is a comprehensive teaching resource. Suitable for KS2 and KS3. The book includes a huge range of activities, worksheets, games and ideas for the busy teacher, plus detailed teachers' notes. This resource complements the differentiated workbooks (below). 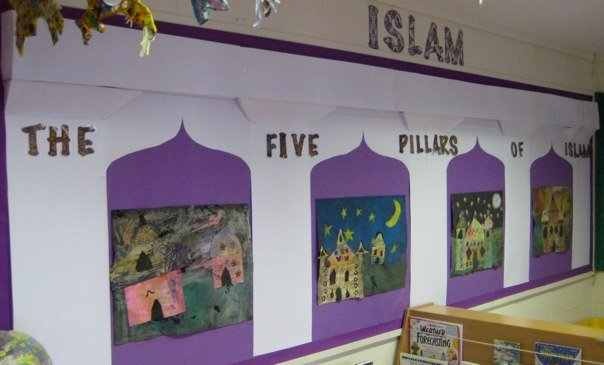 JUDAISM, CHRISTIANITY and ISLAM are covered in this comprehensive classroom photocopiable resource. Suitable for KS2 / KS3. The book includes a huge range of fun activities, worksheets, games and ideas for the busy teacher, plus detailed teachers' notes. Click on the picture link to purchase direct from the publisher. Blue Workbooks - Upper Primary / Lower Secondary (KS2 / KS3). Important themes are covered through interesting, fun and varied activities. Topics include: Beliefs, the Muslim community, Muslim countries, map work, Muhammad (pbuh), the Five Pillars of Islam, the Ka'aba in Makkah, the Qu'ran, Arabic, the Mosque, Islamic patterns and calligraphy, the Imam, food, children, marriage, clothing, stories, and many more! In the blue workbooks, there are also 'Extra' extension sections for early finishers to complete. 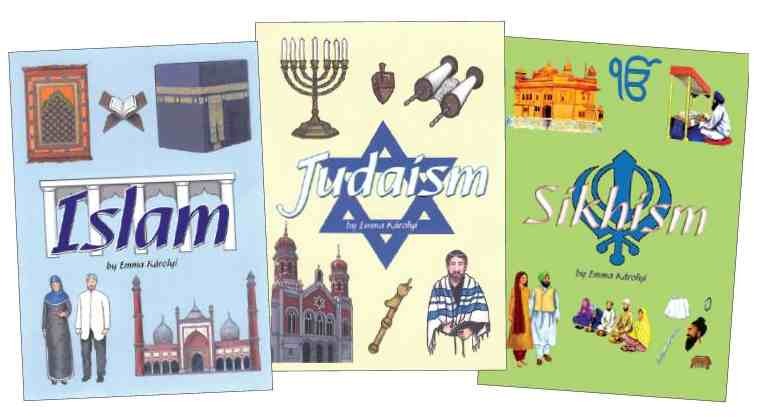 This series of workbooks can be used in conjunction with the World Religions Teachers' Resource Books 1 & 2 or used independently. Click on the link to purchase direct from the publisher.